Publisher: Indiana University Press, 2010. Soft Cover, 288 pages, 9x7. 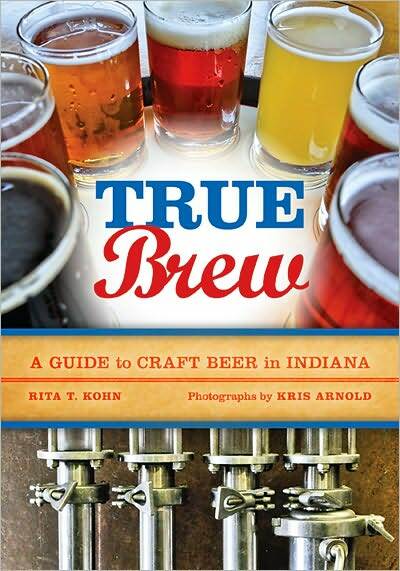 During the 75th anniversary year of the repeal of Prohibition, an emerging generation of Indiana craft beer brewers sat down with their friend and fellow beer aficionado Rita T. Kohn for in-depth interviews on the trials and tribulations of pursuing their passion. The result is a fascinating social history of the growth of handcrafted beer within the state. True Brew vibrantly details the brewers' journey in the creation and sharing of their brews. Continuity, interconnectedness, and civic concern are themes that permeate their stories, but readers may be surprised by the brewers' strong advocacy for restoring buildings, invigorating neighborhoods, and practicing sustainability. Join Kohn, Indiana's leading brew masters, and a burgeoning crop of homebrewers as they reflect on the historical, cultural, social, and economic contributions made to Indiana by one of the world's oldest beverages.